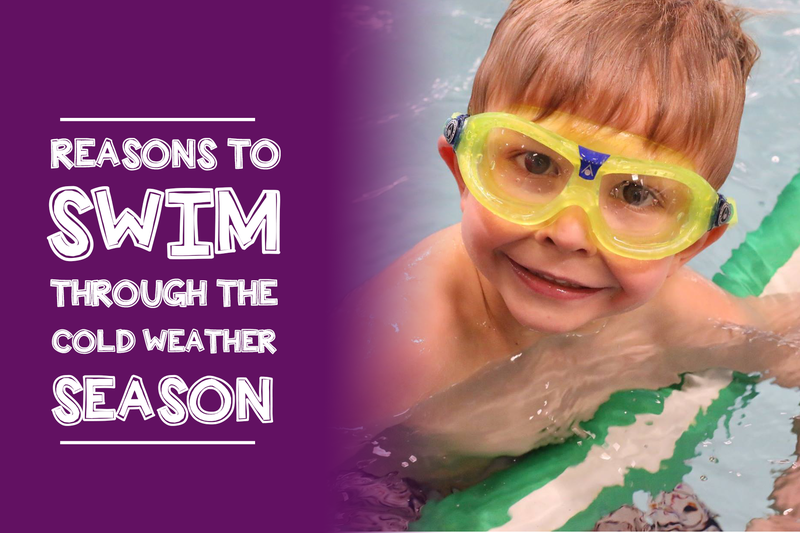 The bitter and cold season is here, but there are many valuable reasons why your child should continue swimming through the winter. During this time of year children usually do not have the opportunity to burn energy and stay active. They often spend more time on the couch and in front of the TV or iPad. Swim Lessons provide an outlet for children to be physically active and socialize with their peers. Stated by the US Centers for Disease Control and Prevention – “Did you know that children who receive better grades are twice as likely to get the recommended daily 60 minutes of physical activity than kids who receive poor grades?” The more they BURN, the more they LEARN! Many parents believe in waiting until Spring to get their child into swim lessons in preparation for Summer. For a majority of children, it takes a great deal of consistency and time for them to be safe in and around the water. Our teachers take the time to gain each student’s trust and teach them to swim. We cannot express how important year-around swimming is for all ages and levels all the way down to our parent and 6 month tot students. The statistics of child drowning’s are very disturbing – an average of 350 children under the age 5 drown in pools each year – a majority which occur in June, July, and August. Did you know that 10 people drown every day in the United States? Did you know that according to the National Drowning Prevention Agency the leading cause of accidental death for children ages 1-5 is drowning? We designed our facility to be very comfortable for families throughout the year. We understand that Winter can be a tough season for us to want to get out of the house. Warm Temperatures – The pool area air is a warm 91 degrees, the pool water 90 degrees, and the on deck showers are equipped with warm water for the comfort of our students. THE WARM TEMPERATURES PROVIDE A NATURAL DEFENSE AGAINST INFECTIONS . Family Change Room – We keep our change room at 80 degrees so the students aren’t shivering after their swim lesson. We provide hair dryers in our specially designed change room so our students don’t go out in the brisk weather with wet hair. Family Drop Off Available – Our entrance is equipped for students, parents, and guardians to be dropped off in front of the facility if there is a winter wonderland: just a couple steps into our warm and welcoming swim school. If your child is not currently in our learn to swim program JOIN NOW and give your child the gift of swimming and water safety. We have a diverse schedule for your families convenience and offer classses starting from 6 months thru teens.